Apple's Next Big Thing: In addition to updates on its operating systems and mobile devices, Apple Inc. (Nasdaq: AAPL) executives announced its new app, "HealthKit." The application gathers and integrates data such as weight, heart rate, and blood pressure that is being collected by other current applications. Many hope this app will enable patients and doctors to detect possible health problems before a patient deteriorates. 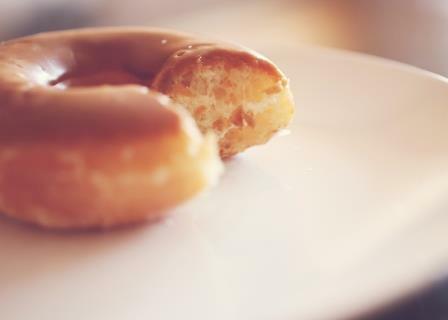 A Hole in the Profits: Shares of Krispy Kreme Doughnuts (NYSE: KKD) slipped by more than 10% after hours on Monday. The company reported adjusted earnings of $0.23 a share in its first quarter on revenue of $121.6 million. According to FactSet, the company missed consensus earnings. The company reduced its forward guidance for 2014, and KKD's chairman blamed poor winter weather for the company's struggles in Q1. The Next Lawsuit: The Wall Street Journalreports that Google Inc. (Nasdaq: GOOGL) plans to spend more than $1 billion on a fleet of 180 satellites to provide global Internet access. GOOGL will launch the satellites into low-atmospheric orbit, hoping to offer access to two-thirds of the world that still lacks regular Internet connection. Sausage Talks: The board of Hillshire Brands Co. (NYSE: HSH) announced plans to meet with both Pilgrim's Pride Corp. (NYSE: PPC) and Tyson Foods Inc. (NYSE: TSN) about selling its operations, including Jimmy Dean and Sara Lee. Pilgrim's Pride raised its original offer for Hillshire to $55 per share, or more than $6.7 billion. That offer is higher than the $50-per-share deal that Hillshire received last week from Tyson.